Cleaning is a critical step in the management of food safety and quality. Cleaning tools have been identified as a major source of contamination - 47% of the cleaning tools sampled as part of a major, UK Government funded study were found to be contaminated with Listeria monocytogenes (CampdenBRI, 1990). Whether this result was due to the poor hygienic design or poor hygienic maintenance of the cleaning tools is unknown but GFSI food safety and quality schemes now recognise that both of these are essential in order to minimise the risk of product contamination. Our Global Hygiene Specialist, Deb Smith, has reviewed the most current versions of each of the top four GFSI food safety schemes, summarised key information related to cleaning tool selection, use and maintenance, and offers some top tips on how to optimise cleaning tool audit compliance. Many food producers are subject to regular audit to ensure food safety and quality. These audits can be conducted by internal quality personnel, or by external retailer or standard and scheme auditors. The requirements of each audit will vary. Internal audits tend to be very site or process specific. External audits tend to be more generic and focus on application of best practice. Business to business, e.g. retailer to manufacturer, audits are more prescriptive, detailing specific requirements across all sites that produce for them. However, all stress the importance of implementing controls based on risk assessment. Between them these four GFSI approved schemes cover over 25,000 certified suppliers in over 140 countries. Food manufacturers who hold GFSI scheme certification are able to demonstrate their compliance with food safety and quality standards more easily and thus protect and improve the reputation and income of their business. Each GFSI scheme details comprehensive requirements with regard to the maintenance of food safety and quality. Below is a summary of the current requirements related to the selection, use and maintenance of cleaning tools. Cleaning equipment shall be:- hygienically designed and fit for purpose, suitably identified for intended use (e.g. Colour coded or labelled), cleaned and stored in a hygienic manner to prevent contamination. Equipment used for cleaning high care and high risk areas shall be visually distinctive and dedicated for use in that area. Vikan are Company Members of the European Hygienic Engineering Design Group (EHEDG) and I am a Committee Member of the UK:IE Regional Section. EHEDG are an independent, not-for-profit organisation populated by academic and industry volunteers who seek to ‘..promote safe food by improving hygienic engineering & design in all aspects of food manufacture.’. This is achieved through the development and provision of hygienic design related guidance, training and certification. Making something that is ‘hygienically designed’ means that it has been designed to be easy to clean. It also means that it will be fit for purpose with regard to its durability and its materials of construction. EHEDG Guideline 8 "Hygienic Equipment Design Criteria" defines some fundamental principles with regard to the hygienic design and construction of food industry equipment. Made of food contact compliant materials, as appropriate. Rule of thumb – if you can see it you can clean it. Regulation EC 1935/2004 - Framework Regulation on materials and articles intended to come into contact with food. Regulation EC 2023/2006 - GMP for materials and articles intended to come in contact with food. Regulation EU 10/2011 - Plastic materials and articles intended to come into contact with food. Equipment that is EU food contact compliant can display the ‘Glass & Fork’ mark. Always ask your cleaning tool supplier for evidence of EU compliance. Keep up to date records and documentation on cleaning tool management for audit inspection. A generalised cleaning tool cleaning decision tree is provided below. The methods and frequencies of cleaning will depend on many things. Consequently, the key to determining an effective decontamination program is to base it on risk assessment. What is the Likelihood that they will occur? How Severe will the consequences be if they do? *Hazard - a biological, chemical or physical agent that has the potential to cause harm. Prioritise control of the high risk scenarios identified. It is recommended that descriptions/images of what is acceptable and what is not, and records of tool inspection and replacement be kept for auditing/due diligence purposes. Do not make poor quality repairs to damaged equipment as this can increase the safety risk to the food product. aids compliance with HACCP prerequisite programs and provides auditors with evidence of equipment control. The use of colour-coded cleaning equipment and area segregation plans can provide a visual check that only equipment colour-coded for use in that area is used. To minimise the risk of cross-contamination and maximise audit compliance cleaning equipment should regularly be cleaned, inspected and replaced, and stored appropriately. 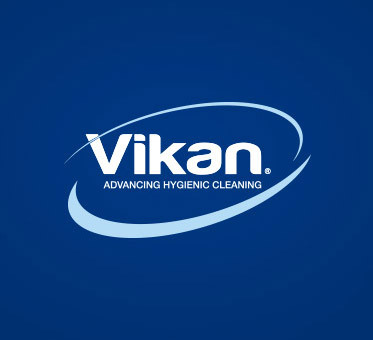 To help you further meet your audit requirements Vikan can supply a comprehensive range of hygienically designed, durable, EU (and FDA) food contact compliant, visually distinctive cleaning tools and tool storage solutions, in a wide range of colours. We also offer a free service to provide colour-coded site plans and a series of White Papers that provide further details on various audit compliance issues.